A faith-based lifestyle determines both the course of action, the destination of the journey and provides a standard of behavior. Lifestyle provides intentionality of conduct and enables one to behave in a planned and deliberate way. The wise man Solomon was concerned about an empty life without permanent value that leads to frustration. He wrote, "Pursue your course but know that God will judge your behavior." (Ecclesiastes 11.9 DOT) The value of a charted course relates to both the terminal objective and the time one has to travel toward stated goals. 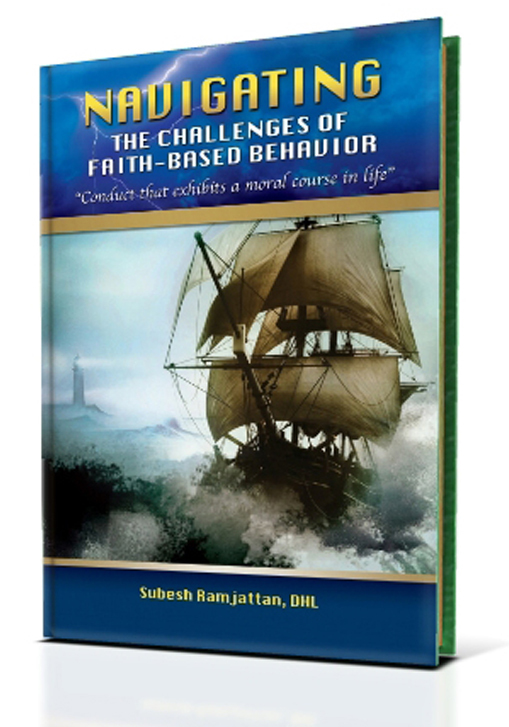 The design of this book illustrates in a nautical/sailing ship framework that there is a difference between believe and behave.